"No one can tell me that the squadrons of many American, Russian and foreign planes did not see this gathering which suddenly took the regime by surprise and raided Jebel al-Arab," said Walid Jumblatt. Islamic State's assault on the city of Sweida and nearby villages in the Jebel al-Arab area on Thursday killed more than 200 people, many of them civilians. Many community leaders and top Druze religious leaders have refused to sanction enlistment in the army during Syria's seven-year conflict. 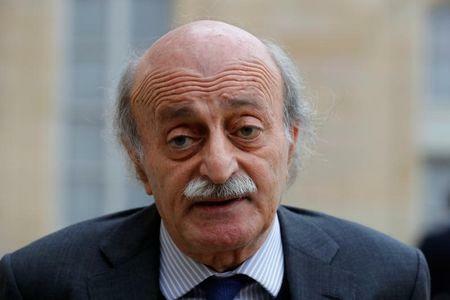 "They want to sacrifice the youths of Jebel al-Arab in Idlib," Jumblatt said. He asked Assad's main ally Russia to help prevent that. "We want its (Russia's) guarantee to the people of the Jebel that they will remain in the Jebel and not be used by Bashar as fodder, living or dead, for his personal ends."